Slapstick Festival’s annual celebration of silent comedy returns to Colston Hall for a 12th year, beginning with a special triple bill. 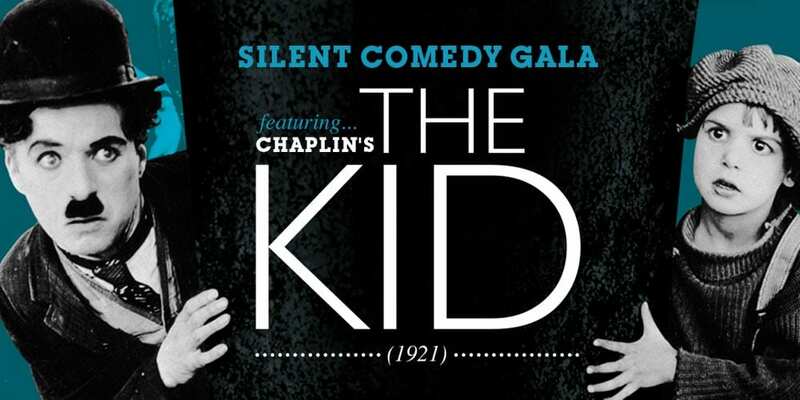 Both wonderfully funny and deeply moving, THE KID (1921) is rightly considered a cinematic masterpiece. Chaplin’s first feature film was a landmark of world cinema, where pathos meets slapstick to perfection. Chaplin excels in his role as the devoted, but comically inept, self appointed parent after he discovers an abandoned baby. Jackie Coogan turns in the performance of a lifetime as his mischievous, adopted ‘son’. This is a UK premiere of Chaplin’s own score performed live by a 15-piece orchestra – the Bristol Ensemble. The evening also features two other classic clowns: Charley Chase, and that great master of the stone-face, Buster Keaton, in their own silent mini-masterpieces. COPS (1922) is considered one of Keaton’s finest – and funniest – comedy shorts. A series of mistaken identities leads to mishaps resulting in Buster being chased all over the city by the entire police force. Here it is accompanied live by the European Silent Screen Virtuosi. There will also be an exclusive screening of MIGHTY LIKE A MOOSE (1926). It’s a silent gem of a short, starring the rare genius of comedy master Charley Chase. With a special guest host to be announced*, and other surprises, there’s no better way to brighten up those gloomy January nights. *Previous hosts include: Victoria Wood, Chris Addison and Griff Rhys Jones.